In a recent LinkedIn post, World Bank President Jim Kim discussed the global impact of smartphones in even the most remote areas of the world today. President Kim called cheap smartphones the “poor’s new window to the world of the rich.” Not only are smartphones increasingly providing people in the developing world a medium to view possibilities in other countries, they also provide the means for online access to media, services, and goods offered abroad. Industry-wide, the prices of smartphones are lowering. Current mobile leaders looking to expand into new markets including emerging markets are offering products at a lower price points to be affordable to new customers. Expanding internet access initiatives by a variety of players will drive down the costs of data plans for smartphones. The entrance of more players in the mobile phone provider space is pressuring mobile phone companies to compete by offering smartphones at low prices, allowing smartphones to be more accessible in the developing world. Popularly known for their desktop browser, the Mozilla Foundation announced at the 2014 Mobile World Congress in Barcelona its collaboration with the Chinese chipmaker, Spreadtrum Communications to release the cheapest smartphone to date. Mozilla hopes to attract customers in Latin America, Africa, and India by using their own operating system, Firefox — rather than iOS or Android. 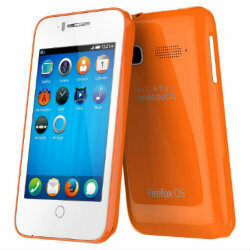 This affordable Mozilla phone recently launched in India on August 25th for $33. It supports Hindi and Tamil, the two most widely spoken languages in India. While known for making the most coveted and expensive smartphones, Apple’s older iPhone models do come at an affordable price. You can buy Apple’s used unlocked iPhone 3GS on Amazon for as low as $40. 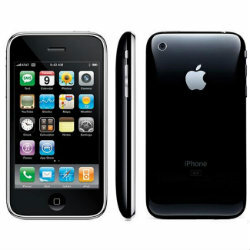 Once unlocked, the iPhone may be used with any carrier with a new SIM card, allowing it to be used in other countries. Another alternative is going through mobile donation programs such as Hope Phones. Hope Phones is a program that accepts phone donations to supply to mHealth workers across the world. TechChange donated several used iPhones to Medic Mobile last year. Already making affordable handsets in India, Karbonn Mobiles is entering the affordable smartphone race by introducing the cheapest Android smartphone in India. While Android enjoys 80% of the smartphone market in India, according to Android’s Senior Vice President Sundar Pichai, less than 10% of the Indian population has access to smartphones. 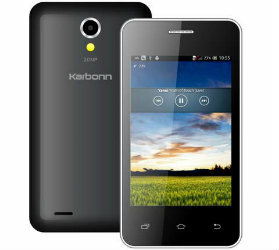 With its relatively low cost, Karbonn will attract first time smartphone buyers in remote places. Joining Karbonn in providing the Indian consumers with another affordable smartphone is Spice Smart with its Flo Edge Mi-349. Spice Smart provides yet another option to the Indian population on the already popular Android platform. Known as the most affordable smartphone in South Africa, MTN Steppa can be purchased in select stores for 499 Rand ($48). MTN Steppa is based on Qualcomm Reference Design Programme that allows any brand to produce their own brand device at a lower cost. MTN Steppa is yet another player in mobile companies’ race to make the most affordable smartphone. Micromax Bolt A27 smartphone in India for $50. Walton C1 and D1 start at $55 in Bangladesh. Nokia is still in the mobile game with its $92 Nokia Asha 503. Motorola’s Moto Smart costs $99. Are there other budget smartphones we missed here? How much quality can consumers expect from these low-cost phones? Are you interested in this topic of cheap smartphones and their applications in the developing world? Enroll now in our Mobiles for International Development online course. Joining Karbonn in providing the Indian consumers with another affordable smartphone is Spice Smart with its Flo Edge Mi-349. Hope Phones is a program that accepts phone donations to supply to mHealth workers across the world. Known as the most affordable smartphone in South Africa, MTN Steppa can be purchased in select stores for 499 Rand ($48). MTN Steppa is based on Qualcomm Reference Design Programme that allows any brand to produce their own brand device at a lower cost. this blog is very significant who wants mobile under 50 dollar. To know mobile phone price in Bangadesh.